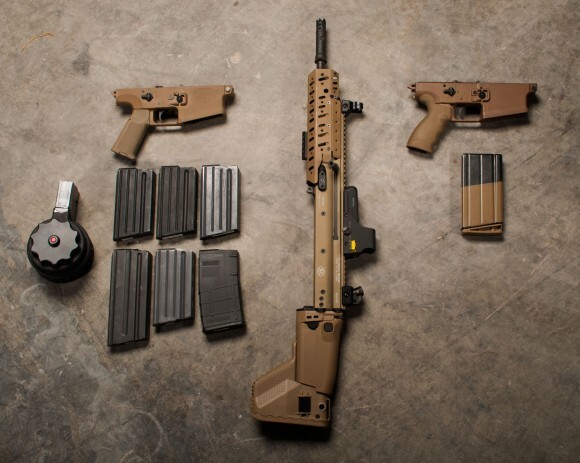 Near the end of 2014 FN was running a promotion on the SCAR 17S in the form of select accessories. 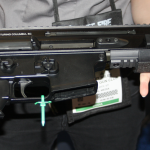 I wanted a SCAR 17S and this influenced me to purchase the rifle at a time when money was tight because of the regular holiday fair and when money would need to be saved for the January SHOT Show convention in Las Vegas. I selected the FDE Surefire flashlight (PDF form). 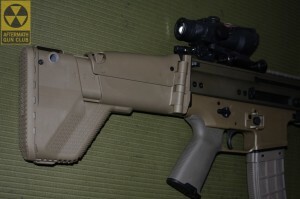 I purchased the SCAR 17S FDE at my local gun store and submitted the required information on the date provided. 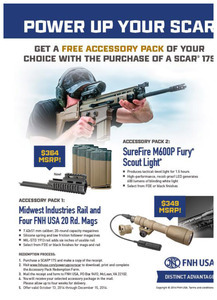 After receiving an initial email thanking me for registering, and a second email informing me I was part of the “Power Up Your SCAR” promotion – Today I received this email from FN. 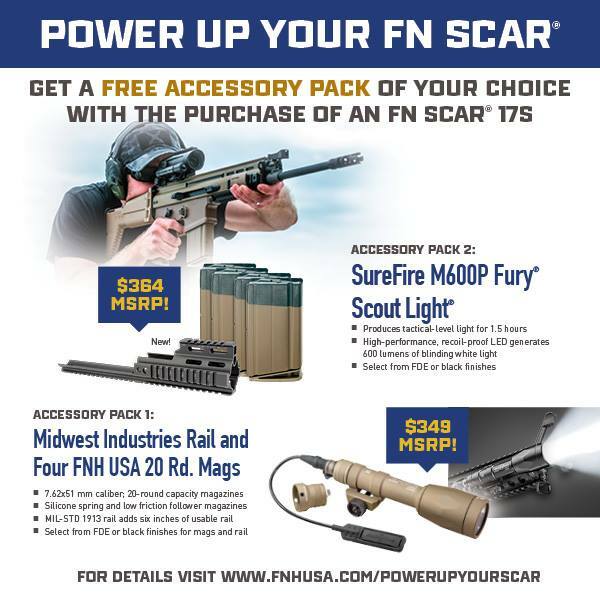 We received your submission for the “Power Up Your SCAR” promotion, however, it was received after the promotion period ended. Because the promotion was more popular than we anticipated, we unfortunately are not able to fulfill your request. We appreciate you as our customer and will be sending you some promo items as a “Thank You” for being a loyal patron. While I’m annoyed that it was claimed the promotional period ended, because I marked the dates on my work schedule to make sure I wouldn’t miss them, there is little I can do about running-out of the promo product. There was no guarantee after-all. So this post serves only two purposes. I am disappointed and so feel entitled to whine. Also to make it known not everyone received their promotional accessories and so purchasing something on this basis comes with the possibility of no fulfillment. It does influence purchases and in my experience fulfillment of rebates or extra accessories is hit or miss. What did they end up sending you? So, nothing? This part of the message “We appreciate you as our customer and will be sending you some promo items as a “Thank You” for being a loyal patron,” was also not fulfilled, they never sent any promo items either.